Some of these are affiliate links for IBA, but we will only recommend what we use and love! Any commissions gained from these links only help us to further support you as bloggers and will help us bring you new opportunities. We truly appreciate your support, and we look forward to growing with you in the future. Tailwind – Awesome app for managing and scheduling Pinterest. Now included Tribes and a beta version for Instagram. 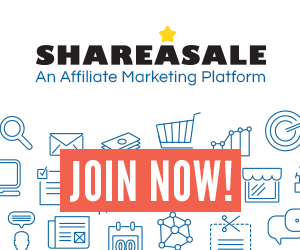 AffiliateWP – An excellent WordPress plugin to manage your own affiliate program. 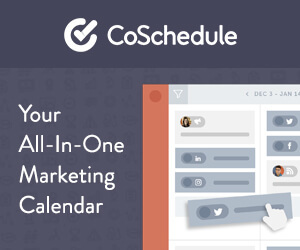 CoSchedule – Marketing Calendar to organize your blog posts and social media shares. Arkon makes amazing products for live streaming. If you are a craft or food blogger they have a great phone mount and stand to help shoot video from above. *Please note the IBA does not promote or endorse these links. This is a listing of POSSIBLE resources for your blogging journey. We will keep it updated so check back often. Our OFFICIAL resource list is still under construction, but these will hopefully get you started. Buzzsumo – Find Twitter Influencers in your niche. CoPromote – Be picky about the posts you promote. Hashtagify – Find out what hashtags are performing best! Inlinkz – Easy blog hop or linky party set-up. Free registration. LibreStock – Search multiple free stock photo websites in one place – very simple, non-intrusive ads. PostCron – Schedule posts – We used this in the past for the International Bloggers Association and it made our life easier! We discontinued because we changed our method of sharing. RoundTeam – Set it up to retweet content you like. StatusBrew – Manage your Twitter and Instagram followers. ViralContentBuzz – VCB helps you get noticed! Bloglovin – A directory of sorts but mostly a blog feed reader. Pretty popular with mom bloggers. Cision – NEW – Also check out their blog. They have some fantastic information on influencers and social media. HubPages – Read about how it works at the Learning Center before you sign-up. Medium – Syndicate your own content. Post teasers to your blog. If they like the intro the reader can click on your post link to read more. BonBon Break – Accepts previously published writing. Lose The Cape – Accepts previously published writing. Mamapedia – Accepts previously published writing. Mommikin – Accepts previously published writing. Mom Smack – Accepts previously published writing. NickMom – motherfunny – Share your funny stories. Power of Moms – Accepts previously published writing. Scary Mommy – Accepts previously published writing. Some Talk of You and Me – Accepts previously published writing. The Good Mother Project – Accepts previously published writing. The Huffington Post – Accepts previously published writing. The Sun Magazine – A place to submit photography for use in their printed magazine. CoSchedule – Excellent social media scheduler.